How Far is RF Greens? RF Greens is an ambitious project sprawling on 8 acres of fertile land in the cool shadows of the greatly revered Nandi Hills. Just a -----kms from the NH7 going towards -----, this exotic location is a feast to the eyes. 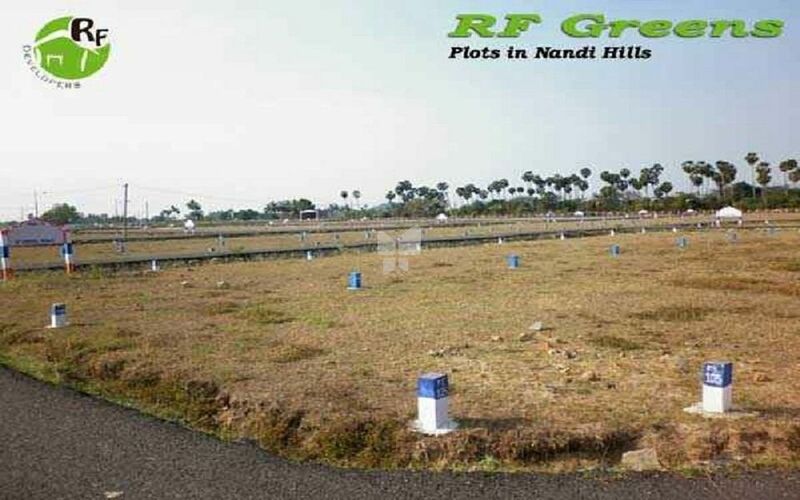 RF Greens is a residential layout comprising of plots of sizes starting from 1200 sft upto 4000 sft. This is designed as a gated community catering to the needs of people looking at villas at affordable cost settled in genteel surroundings. A Clubhouse, with all the essential services of luxury, parks more than one, community hall, and a commercial complex catering to the daily needs- makes this layout a self sufficient and safe community.